If you are the one who gets excited about dancing but knows little about it. Then here is the article that will teach you each and every dance step in a simple and easy manner. This list is all about the free dancing apps for android and ios users. Learning how to dance with these apps will be a cake walk for you. All you need to do is to give your little time and dedication to these best free dancing apps. Once you have gone through some basic steps using these apps, you can use those steps in any drinking game or at any truth or dare that are played at the parties. These listed apps are fully free to download and use as well. Now you need not pay a single penny for your dancing lessons as you have the best of free dancing apps to help you out. One of the most amazing app that you can use to learn to dance would be Just Dance Now. You can unleash the inner dance in you by using this app. 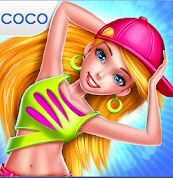 The developers update this app frequently so that the users are getting the latest dance track and numbers. This app has more than 400 songs. Over these you will also get original Just Dance 2018 console game songs as well. Hence you will have a blast when you use this app for dancing. You also can customize this by creating your own list. 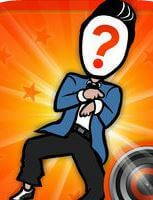 There are options to choose songs that can play number of times and practice your dance moves. This is easy to use and fun app if you really are interested in dancing, then you should give this app a try. Another great app in this list of free dancing apps is Dance Booth. This is more of a fun app to use. You can use your dance moves and then add your pictures to it. Save the total project and you are good to go. There are options that you can use to share with the social media friends. This app is available for iOS users, hence they should not be concerned about the app’s quality and security. This is simple and fun app. All you need to do is to load your picture and choose the song and see your picture self dancing on the tunes of the songs. As by the name, you might have understood the functionality and motive behind the app. This app is all about Pole Dancing. Hence this is the app for you if you are looking to master the art of pole dancing. This is the app in which the dance is taught by Veena herself. She is the professional dancer who has taught most number of students through her online space available. As a result she has dedicated a full app towards her dancing curriculum. You would be made aware about the basic to the master level. All the users would be taught from the dancer herself, as a result she is aware of all the difficulties faced by herself during dancing. 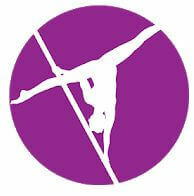 This is an awesome app if you are looking for something flexible and amazing as a pole dance. The name says it all. With the usage of this app, you can win two battles with a single sword. 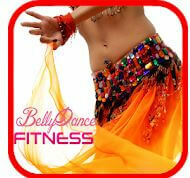 There is a great opportunity for you to learn the belly dance and stay fit at the same time. This is the best app that you can try if you are going to learn dancing using these free dancing apps. The developers and the trainer have developed a great method and step by step guide to help from the absolutely beginner level to the professional level. The app has also got mechanisms that you can use to reduce your belly fat. Maintain the belly and make it look nice to the outer world. There is an audio class also available for all the app users who just want to listen and follow the steps of belly dancing. If you are a lover and admirer of hip hop dance, then you should definitely give this app a try. This is an urban dance app and has got lots of cool options that you can explore. You have a great chance of learning and exploring new moves with app. Showing your talent to the outer world has never been so easy. All you need to do is to record your perfect dance moves and show it to the world. You can improve your star ratings as well when you upload awesome videos. There is a chance that you can impress the judges and move up the ladder of competition. 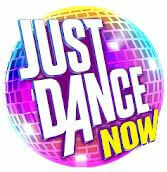 By using this app, you get to be the part of awesome dance group and face skill improvement challenges.